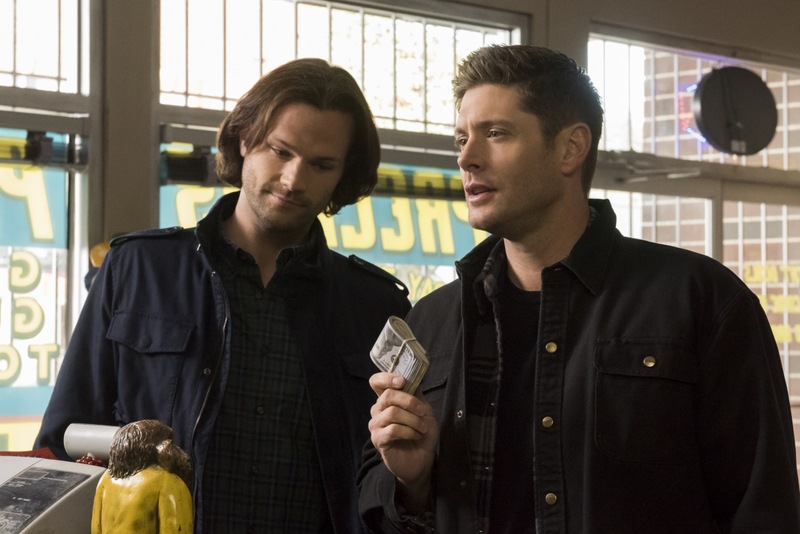 Official preview images for Supernatural Episode 300 which is called "Lebanon"
The CW has released some official photos to promote the 300th episode of Supernatural which airs on Thursday, February 7! JEFFREY DEAN MORGAN RETURNS FOR THE 300TH EPISODE — Sam (Jared Padalecki) and Dean (Jensen Ackles) look to occult lore for a solution to their latest problem, but instead of a resolution, they find much more than either of them had anticipated. Jeffrey Dean Morgan (John Winchester) guest stars. The episode was directed by Robert Singer and written by Andrew Dabb & Meredith Glynn. (#1413). Original Airdate 2/7/2019.